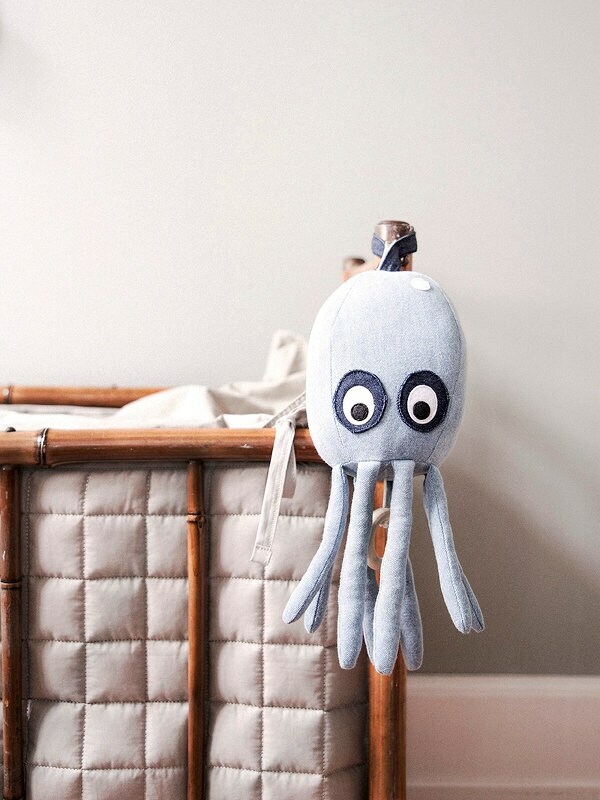 Let the sweet Octopus lull your little ones to sleep by playing Brahms’ Lullaby to them. 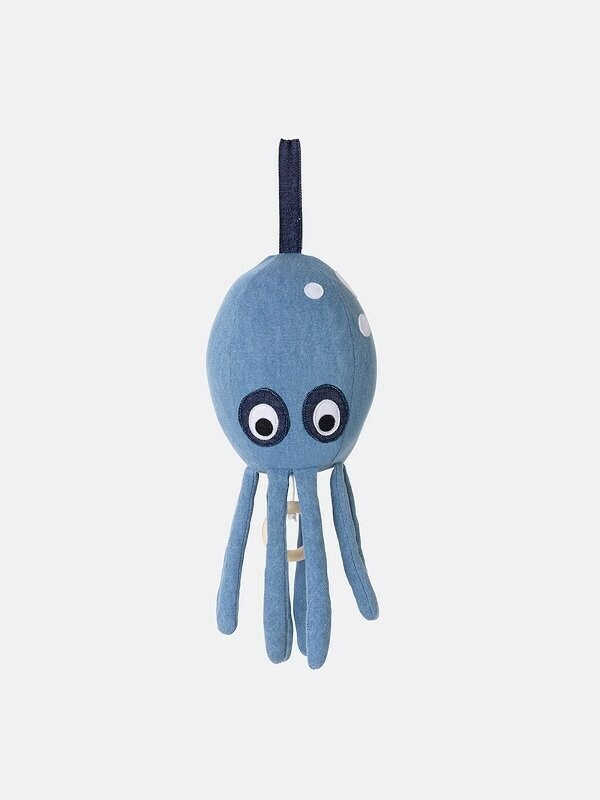 It is made of 100% cotton with polyester filling. • Size: W: 4.75" x H: 11.75"